Yes, you’re seeing spots. As in leopard. Because the fashion world is seriously wild about this iconic pattern. And since I am too, it’s going to be in heavy rotation this Fall…and beyond. You got your first glimpse of my so-loved silk leopard print skirt in this recent post. 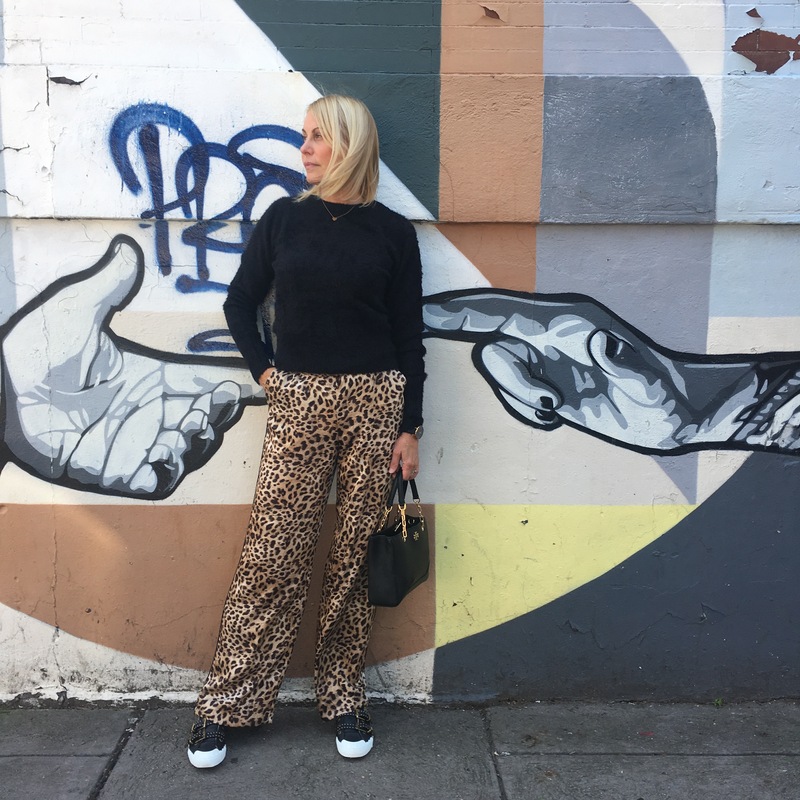 So it was only natural that my closet was in need of a great pair of leopard pants, right? Dressed up or down, these silky, slouchy wide leg pants are definitely going to be prowling around town.